Winter needn't be blue with a visit to vibrant Newcastle! Check out the many activities and accommodation deals Newcastle has to offer in Winter 2013. As Australia’s second oldest city, Newcastle boasts a rich history stretching from indigenous Australian heritage to its establishment as a convict city in 1797. Incredible 19th century architecture, fortified defences and diverse art and culture are hallmarks of the city. History buffs and young explorers will delight in Fort Scratchley – where underground tunnels wait to be discovered and working canons are fired regularly, and for those whose interest lies in the sea and its shipwrecks, the Maritime Centre is not to be missed. The more artistically inclined will find their imaginations captured at Newcastle Art Gallery – one of Australia’s leading regional art galleries boasting almost 5000 works, including paintings, drawings, watercolours, prints and sculpture; while a visit to the Newcastle Museum will reveal the history of the city and the Hunter’s industrial industries, and keep young and young at heart engaged for hours solving puzzles, lifting cars, experimenting with nature and more at the hands-on science centre. For comfort food and exceptional coffee – or an afternoon vino – paired with eclectic charm and character, hit the bustling cafes and wine bars along Darby Street or Hunter Street Mall. Absorb the art deco ambience of Frankies Place – plating up fabulous food as well as cocktails (133 Darby St), enjoy unique coffee blends and old world charm at One Penny Black (Cnr Hunter and Morgan Streets), or for something sweet, visit Coco Monde Chocolateria (80 Darby St). For water views, try family favourite hot spots Honeysuckle and Queens Wharf. Popular picks include The Wharf Restaurant and Bar – where modern Australian meets Mediterranean in a relaxed indoor-outdoor setting (5 Honeysuckle Drive), The Landing –contemporary cuisine paired with live music (1 Honeysuckle Drive), or Craft & Co Burgers (150 Wharf Road) – Newcastle’s latest burger haven, which is quickly gaining a reputation for quality burgers and speciality brews. Bundled between the cafes and wine bars, a stroll down Darby Street will reveal a wealth of boutique clothing and knick knack stores – the ideal place to boost your winter wardrobe, while Hunter Street Mall plays host to a treasure trove of art, fashion and design by local makers. For designer wear and home labels, hit up The Junction, or make the most of Newcastle’s winter sun and explore some of the city’s hip markets – try Newcastle City Farmers and Craft Market for local produce and lifestyle goods (held most Sundays), or The Olive Tree Market for unique artisan wares (the first Saturday of each month). 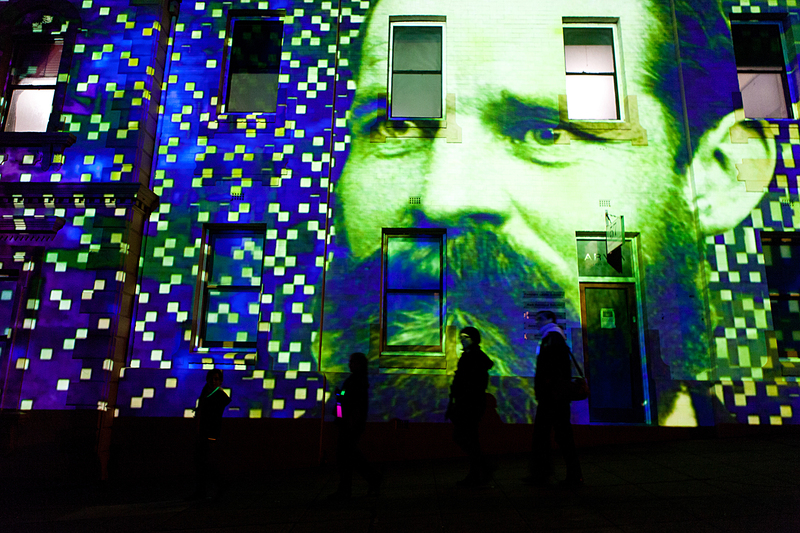 City Evolutions is a landmark contemporary art project featuring a series of interactive digital projections along Newcastle’s oldest street, Watt Street. Take a journey through the fascinating history of this stunning historic and cultural precinct, sunset to 10pm each evening. 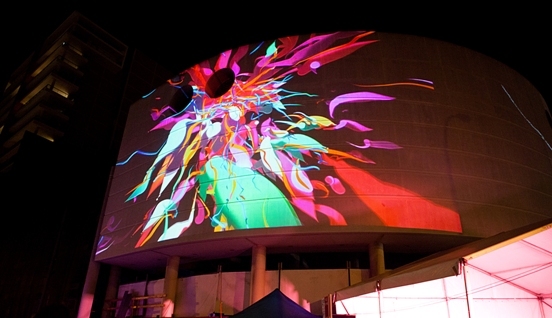 City Evolutions is part of The City of Newcastle’s strategy to revitalise East Newcastle, through a new attraction to complement the vibrant restaurants, bars, galleries and venues of this stunning cultural and historic precinct. Throughout the course of the 12 month lifespan of City Evolutions there will be a range of events occurring on Watt Street. Keep an eye on the City Evolutions website for information about upcoming events. Chifley Executive Suites Newcastle creates an apartment experience with a warm, relaxed, yet refined ambience in a convenient location just a short walk to the CBD and Newcastle Harbour Foreshore and dining precinct. Stay in a one bed apartment for two nights, and receive a free bakehouse café breakfast voucher for two people. Enjoy over 50% off accommodation in your fully self-contained apartment at Quest Newcastle. Centrally located in the heart of Newcastle’s CBD within walking distance to waterfront and shopping complex. Whether it’s a romantic weekend in or a family getaway - experience ultimate comfort this winter at Quest Newcastle. • Quest DVD Pack – popcorn, marshmallows, hot chocolate mix tin and unlimited DVD hire. • Complimentary bottle of Hunter Valley Wine on arrival. With its unique combination of affordability, resort atmosphere, first class service and facilities, the Executive Inn sets a new standard for Newcastle accommodation. Located just ten minutes drive from Newcastle’s CBD, and boasting 136 well appointed non smoking guest rooms – including 32 spa suites and one apartment – The Executive Inn is the ideal location to base yourself for a Newcastle winter break. A stunning boutique hotel featuring 76 rooms, suites and apartments, and the fantastic Figtree Churrasco Bar & Grill, The Gateway Inn brings together the best in creature comforts and superior style. Providing ocean views and easy access to beaches and Hunter Valley golf courses and vineyards, the harbour-front Crowne Plaza Newcastle is the ideal locale from which to explore the Hunter.